Kent Sorenson, State Senator for Iowa’s District 37 is asking for signatures on a petition in support of the Iowa Life at Conception Act. 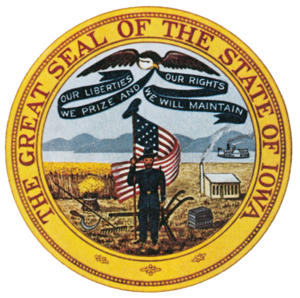 In an e-mail sent this afternoon, Sorenson argues that, by legally recognizing what we already know to be true, that life and personhood begin at conception, abortion would end in Iowa. Sorenson alludes to language in the Roe v Wade Opinion in support of his optimism. The language, written by US Supreme Court Justice Harry Blackmun, is in ROE v. WADE, 410 U.S. 113 (1973), Section X, Part A. The appellee and certain amici argue that the fetus is a “person” within the language and meaning of the Fourteenth Amendment. In support of this, they outline at length and in detail the well-known facts of fetal development. If this suggestion of personhood is established, the appellant’s case, of course, collapses, [410 U.S. 113, 157] for the fetus’ right to life would then be guaranteed specifically by the Amendment. It is true that life and personhood begin at conception and that truth is worth advocating. It would, at least, greatly restrict abortions in Iowa. In any case, we are grateful to Senator Sorenson for his strong support of personhood and life.